Hi everyone. 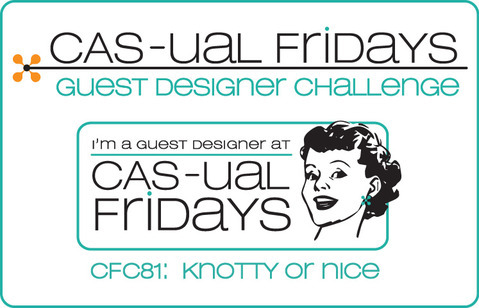 Just popping in with a quick post for CAS-ual Fridays Knotty or Nice Challenge (fun name isn't it) which involves using a knot or knots on your project. For my card I tied a bunch of French Knots with red embroidery thread. I used to embroider quite a bit when I was younger so it was fun to incorporate that into my card. Hope you like it and thanks for stopping by today! Love your knotty masterpiece, Sue! This is absolutely outstanding! So glad that you join the fun with us at CAS-ual Fridays! Stunning! Love the wonderful design Sue! I just LOVE, LOVE, LOVE your tree with all those knots!!! Wow, that is incredible! I love the French knots!! You are so clever. I cannot make a french knot work to for the life of me! So your card, wow! Knocks my socks off. Thanks so much for playing at CAS-ual Fridays this week! Wow, that's a heck of a lot of knottiness! Such a great effect with all those french knots on your tree! Gorgeous work!! Love the negative space tree! Thanks so much for playing along with us at CAS-ual Fridays! How fun to do all the french knots on your tree, Sue! 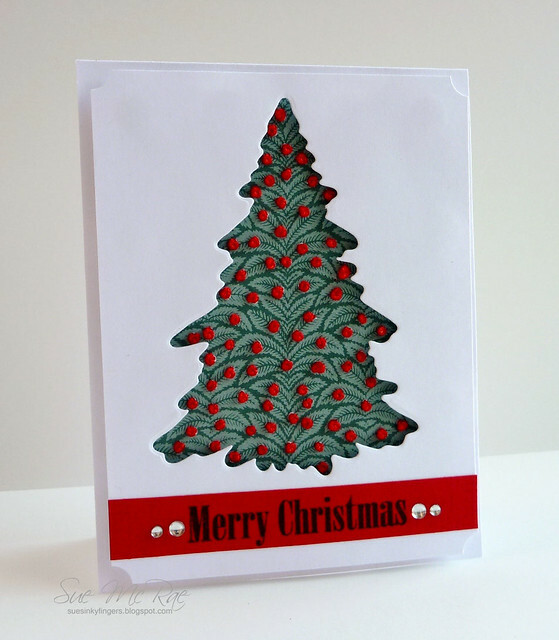 I used to embroider as a kid too - you've inspired me to add it to my cards! Happy holidays to you and your family! !